Pizza prep solutions that help kitchens work more efficiently, achieve the highest food quality and continue growing profitably. Today’s pizza operators understand the ever-increasing challenges of expanding topping variety and capacity, as well as managing valuable space in the kitchen. 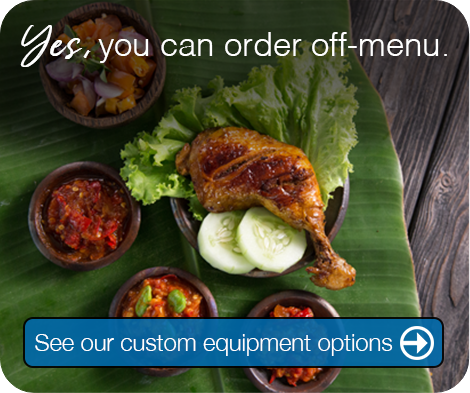 With a large selection of specialized equipment solutions that are specified by four of the top five pizza chains in the United States, Unified Brands helps foodservice operations of all sizes exceed customer expectations by maximizing efficiency in the kitchen and expanding their menu offerings. In this fast-paced market, it’s more important than ever to adapt quickly and attract highly selective customers while continuing to grow the bottom line. 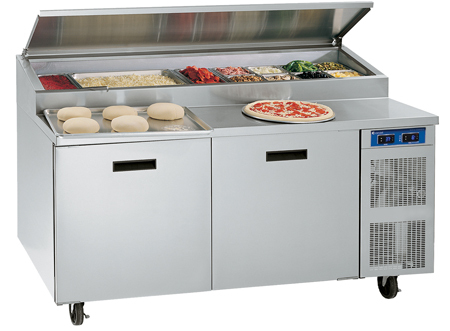 Our complete lineup of Randell prep tables and holding cabinets are designed for large pizza chains and independent operators alike — with features such as oversized rail drains for more time-saving cleanup and flexible, intuitive layouts that keep pizza toppings and ingredients front and center for busy staff. 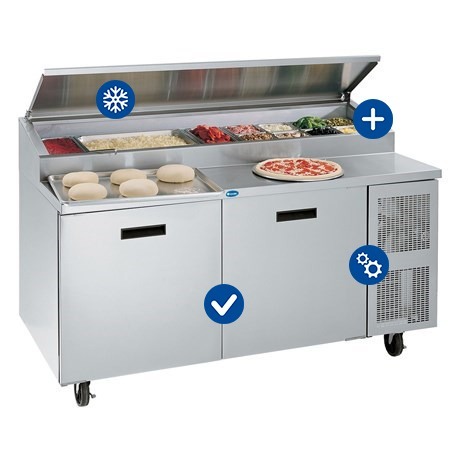 Randell pizza prep table models with cold-wall conductive cooling set the standard for performance in commercial kitchens. This cooling method creates a cold blanket of air to act as a barrier to high heat environments, assuring the food products are maintained fresher and longer. Standard features for all cold-wall models, such as independent temperature control between the base and pan areas, give operators unparalleled performance and flexibility. Randell prep tables are also designed and built for maximum durability and easy maintenance, from hinged louvers for drain access to condenser coils within easy reach for cleaning.